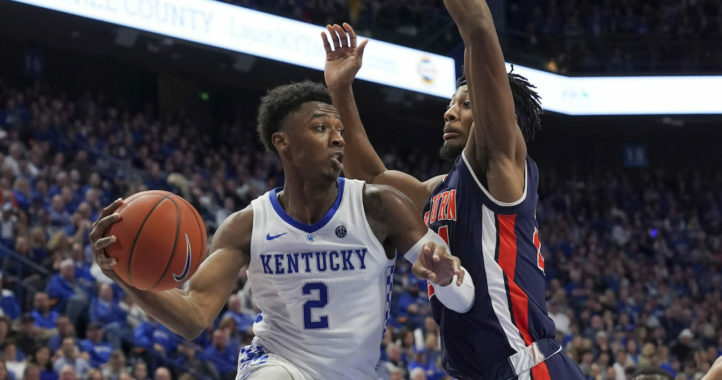 The annual SEC vs. Big 12 Challenge makes for one of the most interesting weeks in the Southeastern Conference’s non-conference schedule on the hardwood but the only unfortunate aspect of the series occurs when a few league teams get left out due to the unbalanced structure of the two leagues. It appears the SEC is working to get around having too many teams to perfectly match up with the Big 12 as Jon Rothstein of CBS Sports is reporting that the SEC will soon join an alliance with the AAC in basketball. The SEC teams unable to face Big 12 teams will now face AAC teams. “Sources: SEC teams not involved in the SEC/Big 12 Challenge will play home-and-home series’ starting in 19-20 against select teams from the American Conference. The goal of the alliance between the leagues is create more Quad 1 and 2 opportunities,” Rothstein tweeted out on Thursday. This appears to be another way for the SEC to legitimize itself as an elite basketball conference and provide league teams another opportunity to gain impressive wins outside of the conference schedule. 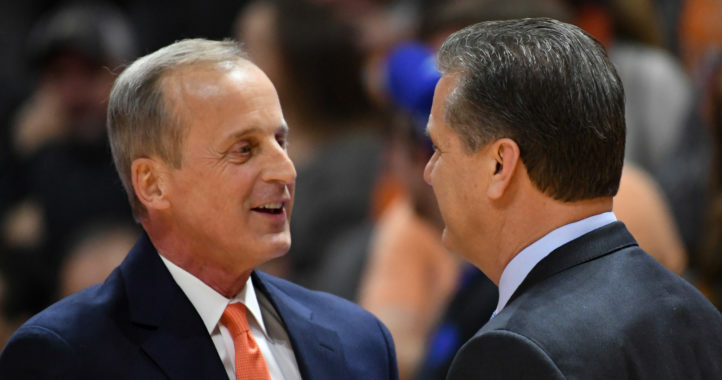 The SEC has clearly taken its basketball game up a few notches in recent seasons and the recent coaching hires around the league suggest that’s only going to continue in the future. This latest move should only further the narrative that the SEC is trying to become the dominant league in college basketball moving forward. SEC and ACC working together? What will they think of next??? Why doesn’t the SEC just drop the Big 12 and try and work with a conference that lines up better from a numbers standpoint. The ACC seems like a natural fit. Are they a Power 5 conference? Maybe in the minds of a few, or one, for sure, they are, but what would you earn from playing these teams? Reading is fundamental. I wrote ACC. That would be the conference featuring Duke and UNC, not the one featuring UCF. Another failed attempt at trolling by the Louisville fan. Ah,an attempt to be funny! The SEC is 1-5-1 in seven years in the Big 12 – SEC challenge. The tie was when they went 5-5. In total wins the Big 12 leads 35 – 25. So genius, you think they should take on the Atlantic Coast Conference who is ranked No.1 among college conferences in basketball? Why not the Big 10 which is ranked No.2 in basketball conferences. They have 14 schools so the worst in the SEC wouldn’t have to play a Non Power Five conference. Keep searching. Or maybe momma could do for you. The SEC has improved, but I’m not sure it’s quite ready for that. Even if it is, the ACC probably has a number of programs that don’t see much of a reason to go for it.